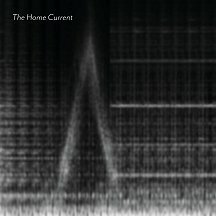 Over a decade of audio tease and email frustration the Static Brothers have finally managed to add Martin Jensen (The Home Current) to their family. Delivering four thixotropic tunes for CD we decided to spice up the package with 2 tracks being lathe cut onto vinyl by 3.45RPM. 100 copies only and 50 of these are exclusive to Norman Records. The Home Current is the project of Dane, Martin Jensen. Previously based in London, Martin is now recording from his new base in Luxembourg. Recent The Home Current releases include a couple of 7"s for London label Polytechnic Youth. Further, Martin has remixed tracks for the likes of Colleen, Dollboy and Ellis Island Sound. He co-founded the Second Language label in 2009 and co ran it until 2014. An avid vinyl collector, Martin has been DJ'ing since the mid-1980s, playing across Europe and he was the brains behind the “Music and Migration” trilogy compilation series in support of conservation charity BirdLife International. 100 copy Lathe Cut and CD package.